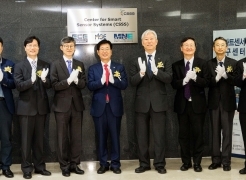 On October 23, UNIST held a signboard hanging ceremony of the Center for Smart Sensor Systems (CSSS) to commemorate the establishment of a state-of-the-art research and incubation facility, focused .. The Inauguration Ceremony for the New Beginnin..
UNIST is delighted to announce its inauguration ceremony for the new beginning of UNIST, as it is one of the great occasions in the history of UNIST. 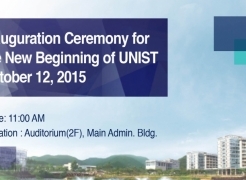 A formal ceremony will be held on October 12th to..
September 28th, 2015 marks the official relaunch of UNIST, as a government-funded research institute for science and technology under a special law with government funding. This is the first time.. Number of Applicants to UNIST Class of 2020 Se..
UNIST Admissions today announced that they received a record number of applications for admission to the Class of 2020. When the early admission for 2015 ended on Tuesday, September 15th, records show.. 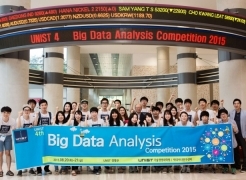 The 4th UNIST Big Data Analysis Competition was held from August 20-21, 2015, targeting national undergraduate students. Around 200 undergraduate students from 52 different colleges applied and 32 stu..
3D Printed Car Parts Moving Closer to Producti.. 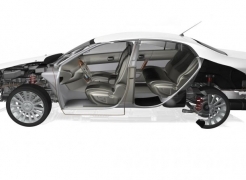 Additive manufacturing, better known as 3D printing certainly has its place in the automotive industry. A recent study finds 3D printing of automotive parts could not only save millions of dollars in..
UNIST Turning Point: A Government-funded Resea.. 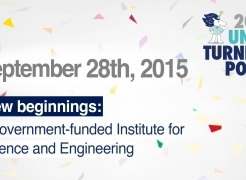 The official launch date of UNIST, as a government-funded research institute is now set for September 28th, 2015. Soon, UNIST will be reborn as a government-funded institute for science and engin..
"Excellent Universities Begin with Excellent Faculty." UNIST faculty plays a pivotal role in the university’s mission to advance science and technology for the prosperity of humankind. Recognizing and celebrating the achievements of faculty who have e.. 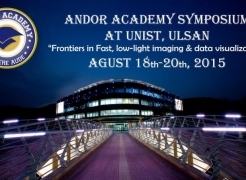 The Andor Academy Symposium on topics of “Fast, low-light imaging and microscopy” will be held at UNIST from August 18th to 20th, 2015. 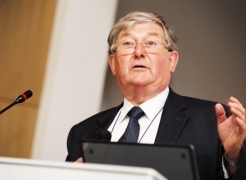 This is a training and education event, hosted by An.. The International Gathering of World’s L.. 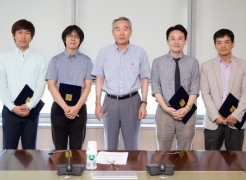 The 8th International ChemComm Symposium will be taking place at two venues in South Korea: One at UNIST from August 12th to 13th, 2015 and another at Ewha Womans University on August 14th, 2015. Thi..